Shimla Hills is on cloud nine as it announces that it has completed 9 successful years in the Agro Products Industry. 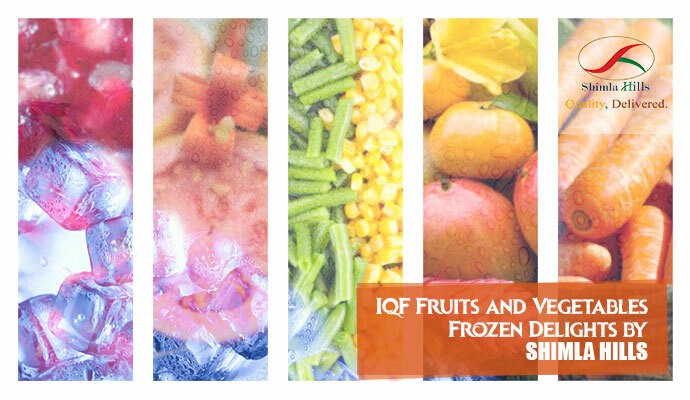 In the years gone by, Shimla Hills has evolved as a renowned producer, marketer and exporter of fruit and vegetable based food ingredients including fruit pulp, puree, concentrate, frozen fruits and vegetables and agro commodities like spices, beans, pulses, grains, nuts and oilseeds. The nine years were no less than a roller coaster ride. If there were achievements, there were challenges too that were faced and resolved with brilliance. The team endeavored to not only come up with new and innovative products but also ensured to delight the customers with the existing range of fruits and vegetable products. Quality and Deliverance have always been and will always remain the credo of Shimla Hills. The robust logistics and supply chain mechanism have contributed to a great extent in maintaining the premium quality of the bulk production. It is said that the best is always kept in the last. We would like to express our sincere gratitude to our customers who stayed by our side in our ups and down and walked with us so far in the journey. We sincerely hope that the relationship will grow stronger with each passing day. Towards the end, we, at Shimla Hills, thanks every stakeholder for being with us and cross our heart to maintain and even improve our quality in serving our wide clientele across the globe.